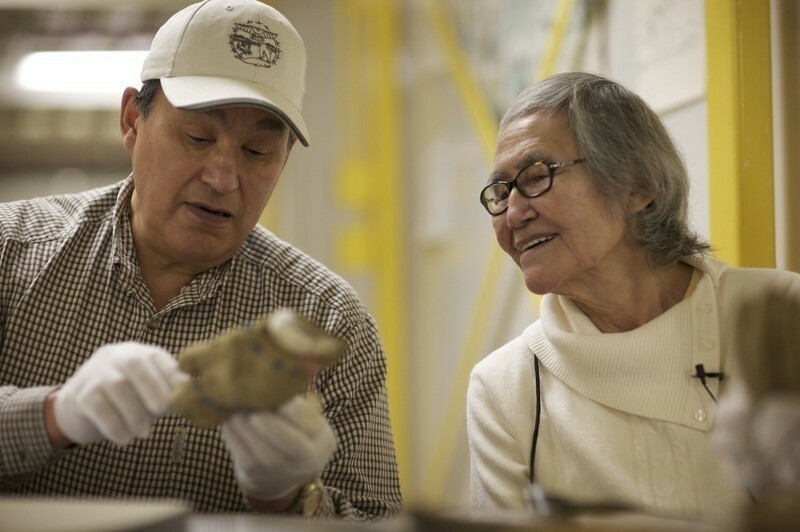 The Inuvialuit Living History Project and the MacFarlane Collection have started many conversations about Inuvialuit culture, history and heritage. In the course of our trip to see the MacFarlane Collection in Washington D.C., in our community consultations about how best to create access to the collection, and in reviewing prototypes of the web project in Inuvialuit communities, we had many opportunities to discuss why this collection is significant today. In this section you can read a little more about what it was like for some our project team members to work with the MacFarlane Collection and produce this website project. You can read the transcript of an interview with elder Billy Jacobson, who talks about his life on the land in the Anderson River region. You can also learn more about our trip to the Smithsonian to see the MacFarlane Collection and our subsequent community work in Inuvik and Tuktoyaktuk as we moved towards the launch of this website. Finally, we invite you to give us feedback on the website, and to join in on the conversation with us.